Don't panic next time you accidentally fry a motherboard; Newegg can get one to you the same day you order it, if you live in Los Angeles. Yes, the PC components and electronics retailer announced this week that it would be the latest online shop to try out same-day delivery. Starting Tuesday, Newegg customers who live within 50 miles of the company's City of Industry warehouse (read: select communities in the Los Angeles metropolitan area) can get same-day delivery. 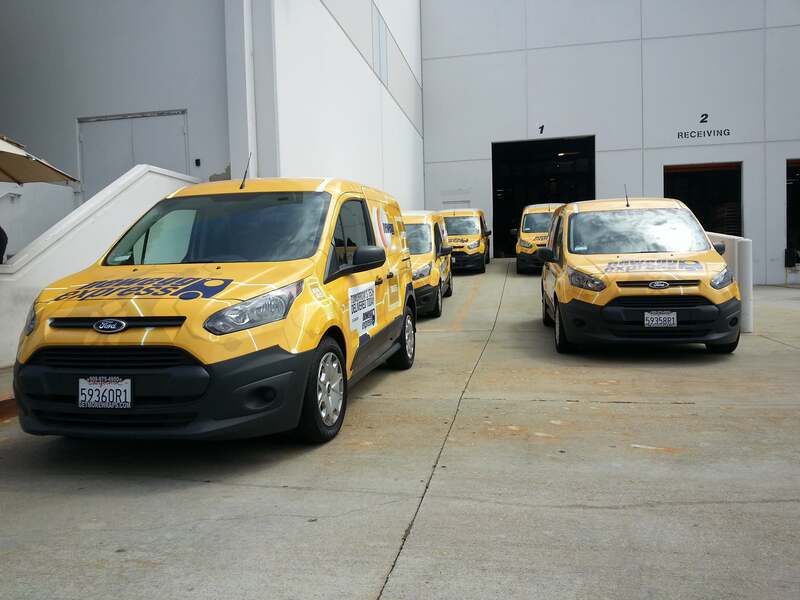 All you have to do is order your stuff before 11 a.m., select the "Local Express" option if available, pay $20 extra, and a vehicle from the Newegg Express fleet will deliver your purchase before 6 p.m.
Newegg says it will test the service in L.A. though Christmas 2014. If all goes well the company will expand the offering next to Indianapolis, IN, Edison, NJ, and Memphis, TN. Newegg Express is now available in parts of Los Angeles. The online retailer said it decided to experiment with same-day delivery because it was "quickly becoming the gold standard of online retail." 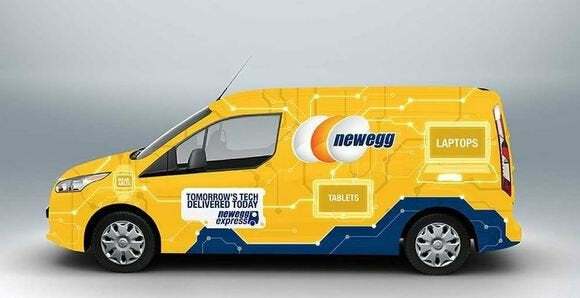 Indeed, Newegg joins a growing roster of online companies offering same-day delivery in select areas around the U.S.
Amazon recently expanded its same-day delivery service to six more areas, bringing the total number of locales to 12. Same-day ordering deadlines vary by location with Amazon's service. Google is also getting into the same-day business with Google Shopping Express. In May, Google expanded the service to New York and West Lost Angeles after testing the service in San Francisco beginning in 2013. Then in August, Google teamed up with Barnes & Noble to offer same-day deliver for Barnes & Noble purchases in Manhattan, Los Angeles, and Silicon Valley. Prior to the Google partnership, Barnes & Noble had offered same-day delivery in Manhattan for several years. Walmart, which is a powerful online retail presence as well as a physical retailer, has offered same-day delivery service on a variety of items since 2012. In other words: Urban dwellers are certainly seeing an expanding range of same-day delivery services as online retailers try to compete with the instant gratification you get with purchases at physical stores. But Newegg is a surprising entrant into the same-day delivery game since it is best known for selling PC-related gear and other electronics—although the company also sells sporting goods, jewelry, toys, and other assorted items. It'll be interesting to see if the company's same-day delivery service takes off considering its specialized niche. The idea of having a graphics card delivered to your door the same day you buy it is sure to be enticing to PC enthusiasts, though.